Mark King has won his maiden ranking title following a remarkable 9-8 victory over Barry Hawkins at the Coral Northern Ireland Open in Belfast. It was an emotional triumph for the world number 22, who had spent 25 years seeking his first title. The win had looked unlikely with King trailing 5-1 during the opening session. However, he crucially clawed it back to 5-3 at the break. King then won the first four frames when they returned in the evening to lead 7-5 in a phenomenal turnaround. He blasted to the front with breaks of 62, 100, 45 and 53. There were then scenes of pure drama as Hawkins fought back. 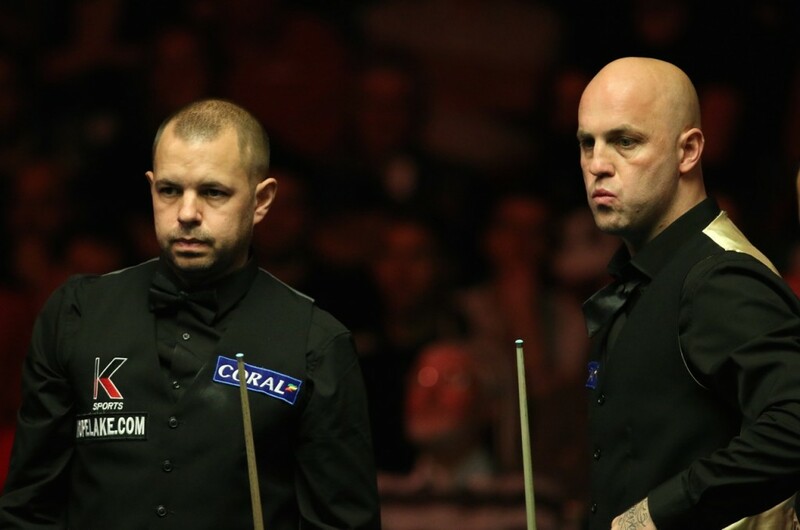 With King 8-7 ahead, he required one seven-point snooker on the colours to tie. The black ball had come to lie perilously over edge the bottom pocket and King ambitiously embarked upon trying to lay the object ball on top of it. He eventually achieved that thanks to one of the shots of the tournament, cross doubling the pink the length of the table. Hawkins fouled the black and his opponent forced a re-spot. King narrowly missed a double to middle for the title and allowed the Hawk in to force a decider. After a match filled with fluent break building the final frame was understandably tense. Both players had and missed chances. However, it was King who forced himself over the line and emotionally embraced his family as they entered the arena. 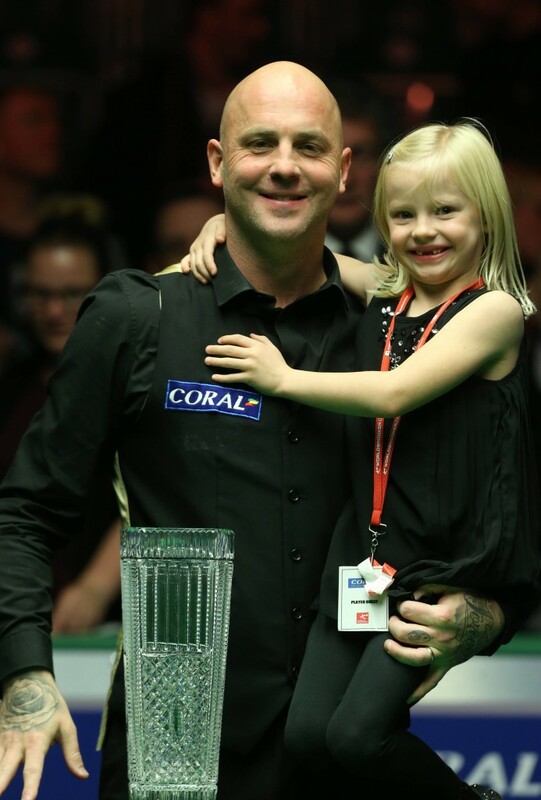 The scenes were reminiscent of the man who the trophy was named after Alex Higgins, who had beckoned his then baby daughter Lauren onto the Crucible floor in 1982 after winning the world title. Lauren was present today, 34 years on, and handed over the trophy to an emotional King. King said: “At 8-7 up my little daughter Polly was doing cartwheels outside and it just calmed me down seeing her happy. I thought to myself worst case scenario I have my three gems here and my wife. I left everything on the table and it is nice to come out and be a champ.